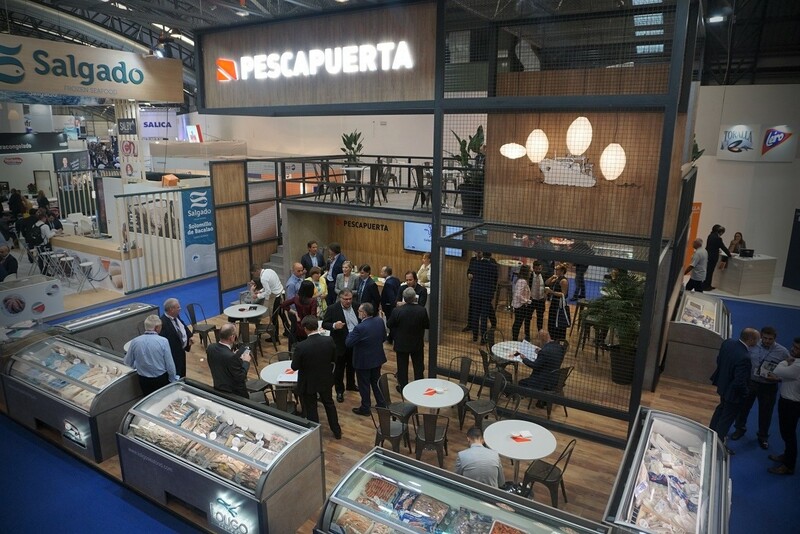 As traditionally occurs at this time of year, Fortitude Fishing was invited to be present at the 20th edition of the International Frozen Seafood fair (Conxemar), which was held in vigo on 2, 3 and 4 october 2018. This event, now established as the second most important fair in the world behind Seafood, held in Brussels, enables Vigo to occupy an outstanding position within Europe’s fisheries sector. This year, Conxemar managed to bring together 742 exhibiting companies thanks to the recent 5000 m2 extension at the Ifevi fair site. This has undoubtedly been the most successful edition to date, with almost 35,000 visitors, a record number which represents a 13% increase with respect to 2017. José Luis Freire, Chairman of Conxemar, emphasised this fact, affirming that expectations with regard to the number of visitors were exceeded. Our stand, located in one of the busiest parts of the fair, received a significant number of visits over the three days. As well as current suppliers and customers, we were also visited by people attracted by the products exhibited in freezer cabinets. Those who stopped at our stand also had the opportunity to try different recipes made using our own products, which included Cape hake.